Editor’s Note: This story was originally produced for our content partner, GlobeSt.com. 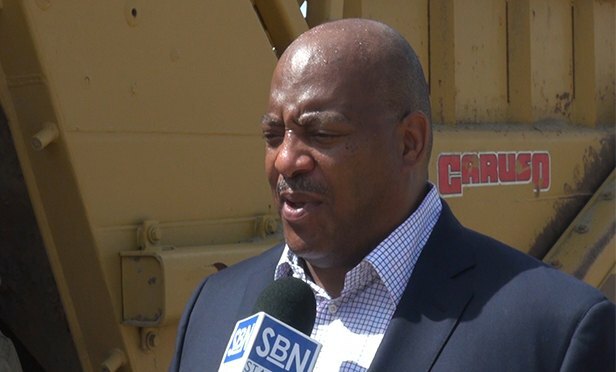 FLORENCE TOWNSHIP, NJ—(SBN)—NFI, a Cherry Hill-based supply chain solutions provider, has broken ground on a facility that Mike Ricketts, the president and founder of Quality Packaging Specialists International, says will create “a transcending future” for his specialty packaging company. Watch our exclusive video news report about the project in the player below. SBN-NFI Groundbreaking for QPSI from PodcastSteve on Vimeo. QPSI, which previously operated from Moonachie, NJ, will establish its new corporate headquarters and packaging supply chain center of excellence at the site. QPSI provides packaging supply chain solutions in the pharmaceutical, health, beauty and consumer goods sectors. QPSI joins Subaru and three other tenants at the complex. Lt. Gov. 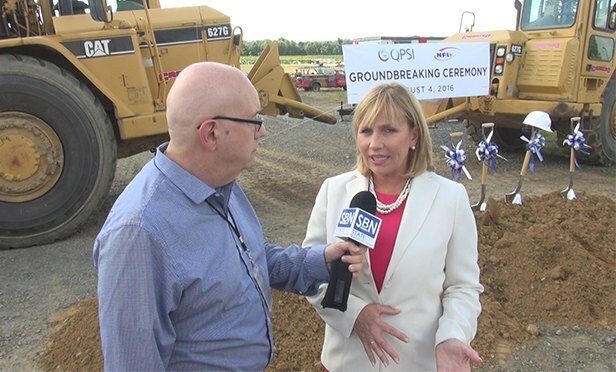 Kim Guadagno tells GlobeSt.com exclusively that Grow New Jersey credits awarded to QPSI for the project not only helped keep the company in New Jersey, but also enabled the firm to draw in several of its clients in other states to a deeper business relationship in the Garden State. The strategic location of Florence, NJ places QPSI at a crossroads of major highways with easy access to the New Jersey Turnpike, Route 295, Interstate 95, and the Pennsylvania Turnpike. The architect for the QPSI project is KSS Architects and the general contractor is Arco Design/Build NE. CBRE was the real estate broker for both sides of the transaction and Taylor, Weismann & Taylor are the civil engineers. The project is expected to be completed in April 2017.